The adidas Yeezy 700 has been a nearly endless headline piece this year. As Kanye’s first foray into the chunky “dad” shoe world, the silhouette has grown to become one of the most coveted sneakers of the past year, so we took some time to break down just why. The adidas Yeezy Boost 700 “Waverunner” first made its debut to the sneaker world back on August 12th, 2017. After several months of leaks and early photos, the silhouette surfaced for preorder on Kanye’s YeezySupply store. However, unlike your usual adidas Yeezy release, they didn’t sell out in seconds. Instead, pairs were available for presale in a full-size run for several hours, allowing time for consumers to make up their mind on the new silhouette. Like many sneakers, not everyone was initially sold on the chunky “dad” design, though, and what followed was one of the most intense debates in sneaker history. When the Yeezy 700 first appeared on social media timelines, a majority of sneakerheads hated the shoe. Posts and images of the latest Kanye silhouette were met with comments outright labeling the look as garbage, while some joked about how they looked like something straight out of a mental ward. By the time they appeared on YeezySupply unexpectedly, dislike of the new Yeezy Boost was at its height. As with any announcement of a new Yeezy silhouette, the peoples’ opinions will be heard, loudly and quickly. It did not take long for sneakerheads to voice their thoughts on the new Waverunner, and for the most part, they weren’t pretty. The YeezyMafia continued to tweet new imagery as the 700 presales continued throughout the day, and with each update, they were met with plenty of resistance. was this the same shoe kanye checked into the hospital with? Despite the hate, the Yeezy Boost 700 would prevail. By the time preorder pairs began to ship in November, a fraction of the negative opinions had changed, and the hype for the wild new silhouette was beginning to build. The first solid evidence of this came from StockX, where some of the first pairs were sold for resale once in consumers hands. At this point, there was no significant data to pinpoint how many preorder pairs had been sold, and so the shoe was assumed to be extremely limited, which it was. 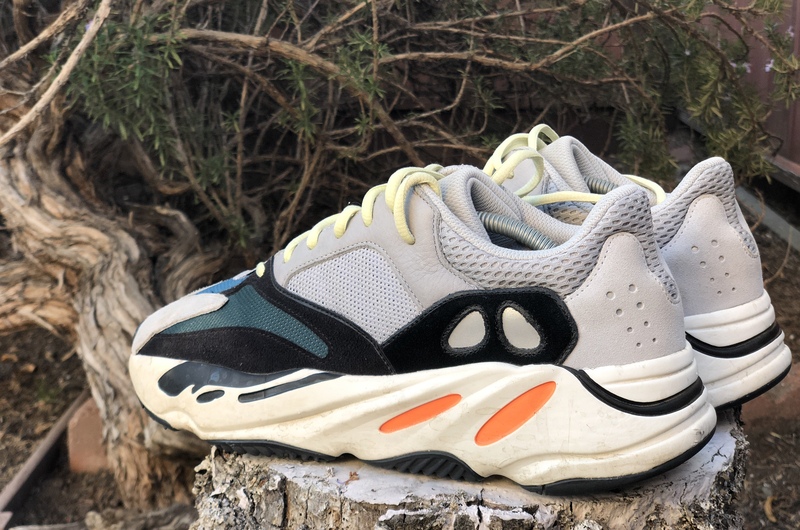 Released at the time as a YeezySupply exclusive, the first few sales of the Yeezy Boost 700 established the market price at well over $1,000, even reaching as high as $2,000. This caught many sneakerheads off guard, not realizing how hard to get the 700 would be, and miscalculating how much the fans were willing to pay for it. However, hefty resale prices do not always define what is hot. Sometimes, outside influence can play a large factor. Enter Chance, the Rapper. 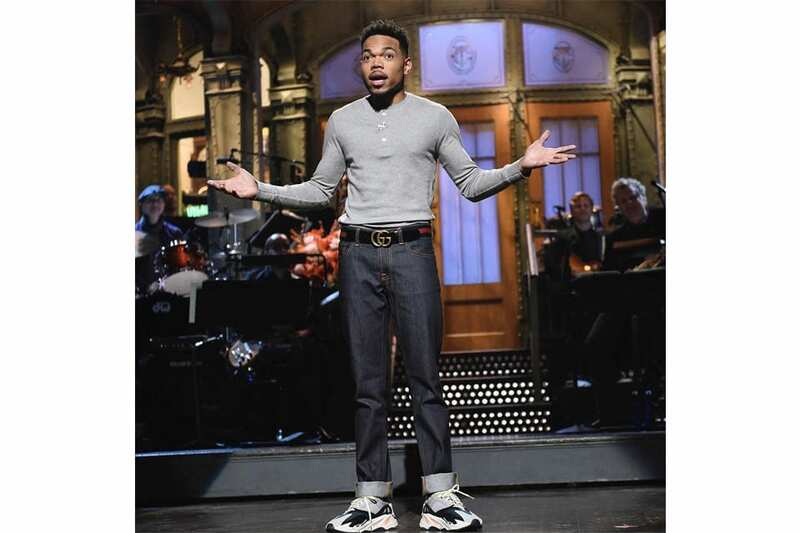 On November 18th, 2017, Chance the Rapper hosted Saturday Night Live for the first time, also appearing as the show’s musical guest. While many viewers tuned in for his special performance, only a select few were privy to the history he was making with his feet. Wearing dark selvage denim, a plain long sleeve, and Gucci belt, Chance was one of the first celebrities to appear in public with the Yeezy Boost 700 on his feet. His timing was impeccable, giving a fantastic view of the new silhouette on feet at the same time that many undecided consumers would be receiving their preorder pairs. 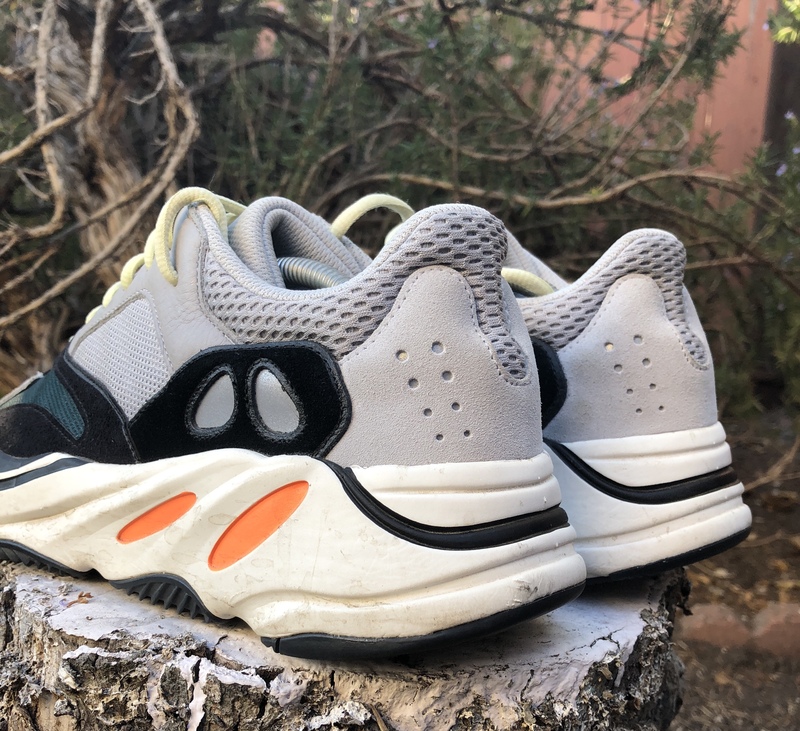 While many were still displeased with the shoes, partially due to Chance’s thick ankle cuffs, there was no mistaking it: the Yeezy Boost 700 was going to be a hit. After Chance, the Rapper’s SNL appearance, the hype for the latest Yeezy silhouette began to build immediately. As more pairs hit the resale market, the cost started to dip slightly, but still remained at hundreds of dollars over the $300 retail price. 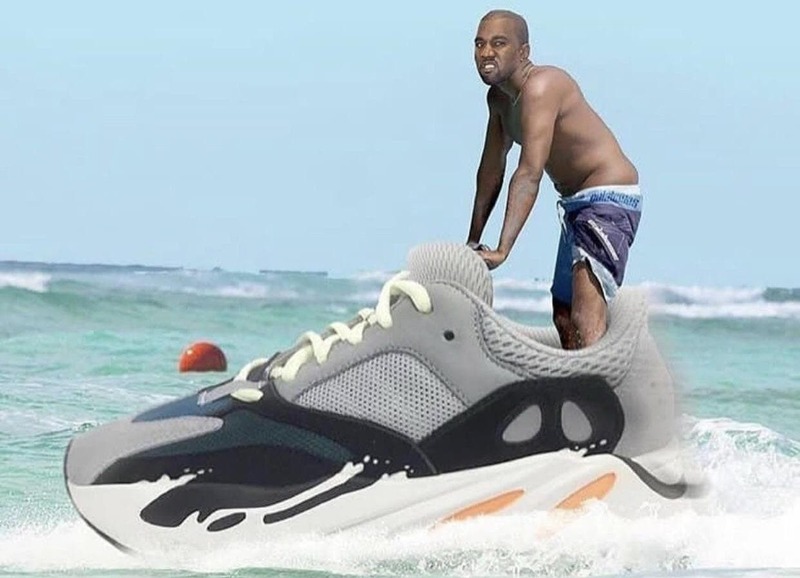 The Waverunner was making its way onto the feet of more people, ranging from regular consumers to Instagram influencers, as well as Kanye’s friends who were gifted pairs. The silhouette’s presence on social media increased tenfold, and soon every sneakerheads’ feed was flooded with nothing but the 700. Then, news of a restock. More pairs were on the way. In January 2018, the rumors of the first Yeezy Boost 700 restock hit the internet. While many sneakerheads still expressed dislike for the oversized adidas Yeezy, they were equally matched by others desperate to get their hands on the hit silhouette. Unfortunately, news of the re-release was a bit early, and adidas kept Yeezy fans waiting for a couple months until March. 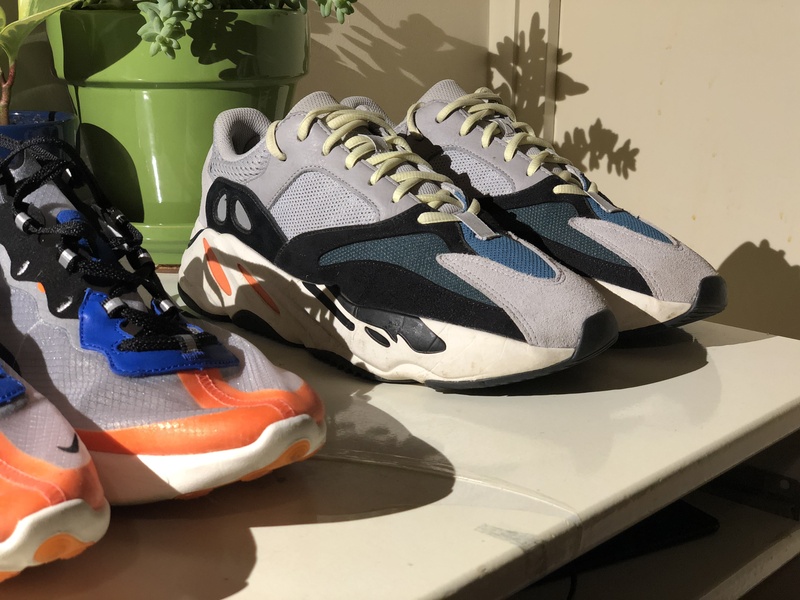 With more pairs finally available, resale prices began to drift into a more reasonable territory, but it wasn’t until the widespread global release in September 2018 that the Yeezy Boost 700 would finally find its way into the hands of plenty people who wanted them. Yay again! Like all the wave runner posts! I’ll be walking on water soon. I’m definitely getting me a pair. 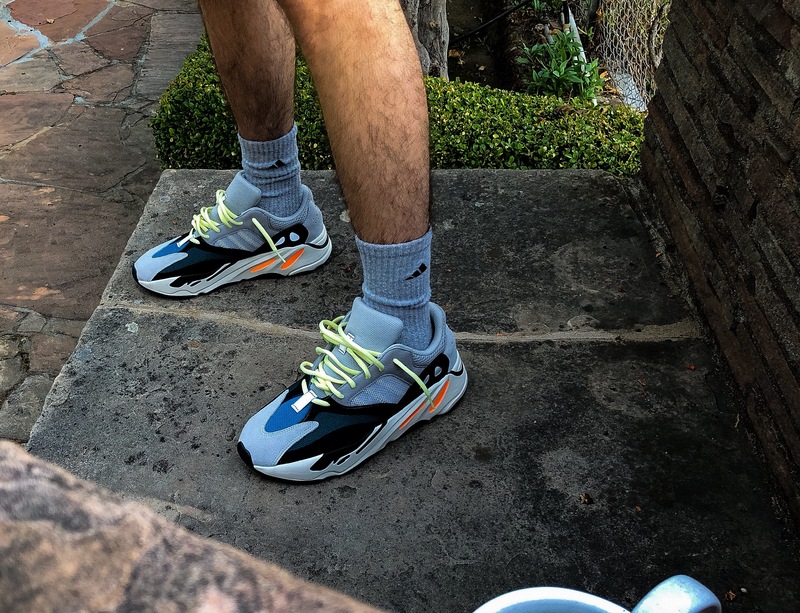 After months of back and forth regarding the look of the Yeezy 700, a much more important question still prevails: how does it feel? To answer this question, I laced my pair up the moment they arrived and did not wear any other shoes for the next four weeks. In that time, I put my pair of 700’s through a gauntlet of different scenarios to get to the bottom of one of this year’s most talked-about sneakers. The day I received the shoes, they went straight to my feet for some photos. I walked around my neighborhood staring down at them, tying and re-tying my laces to test out different looks and feels. My initial reaction to wearing the 700 was a bit of surprise. They were far more comfortable than I expected. My thoughts went directly to the upper. 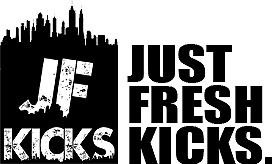 I noticed that the varying layers of mesh, suede, and nubuck were backed by a thin but comforting layer of padding, which helps keep the thick shoe feeling breathable and wearable for extended periods of time. I found that despite the shoe’s flexibility and soft comfort, the upper was still astoundingly stable, keeping my foot locked into its form throughout wear. This support was also bolstered by the chunky midsole, one of the Yeezy 700’s most outlandish features. Inspired by the tooling of adidas sneaker past, the Yeezy Boost 700’s midsole is a marvel in comfort fashion. While many sneakerheads were quick to disregard the over-designed and heavily stylized sole unit, looking through the oversized exterior reveals the treasure hidden within. Though it is hidden from any views other than the outsole, the Yeezy 700 is filled with a full-length Boost midsole. The adidas Yeezy Boost 700’s extended press run is far from over. Just this week, adidas officially announced a release date for the next colorway in line, (a tonal “Mauve” look) and various online leakers say that a V2 version will debut sometime before the end of this year. With new colorways and altered versions coming soon, the availability and popularity of the silhouette are sure to continue its spectacular growth. 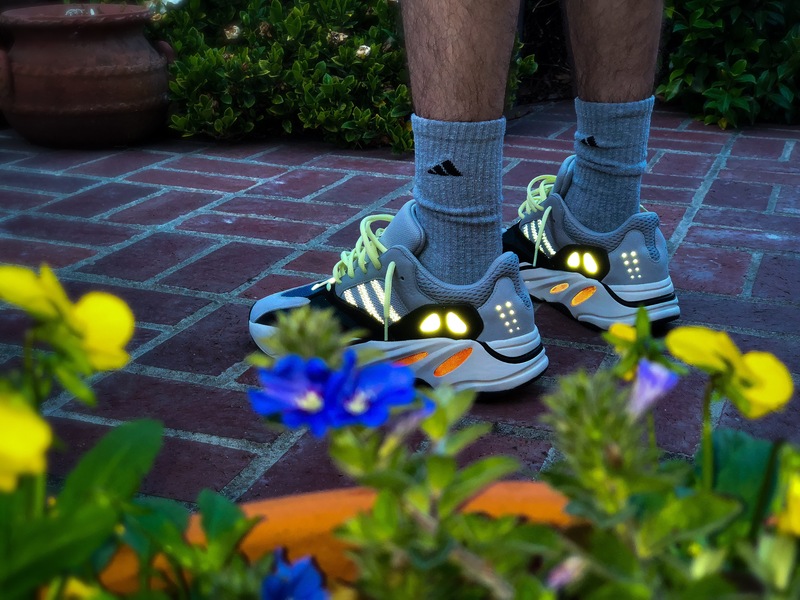 Though many doubted the potential of the Yeezy Boost 700’s design, the silhouette has firmly established itself as one of the most hyped and talked-about sneakers in the modern sneaker era. 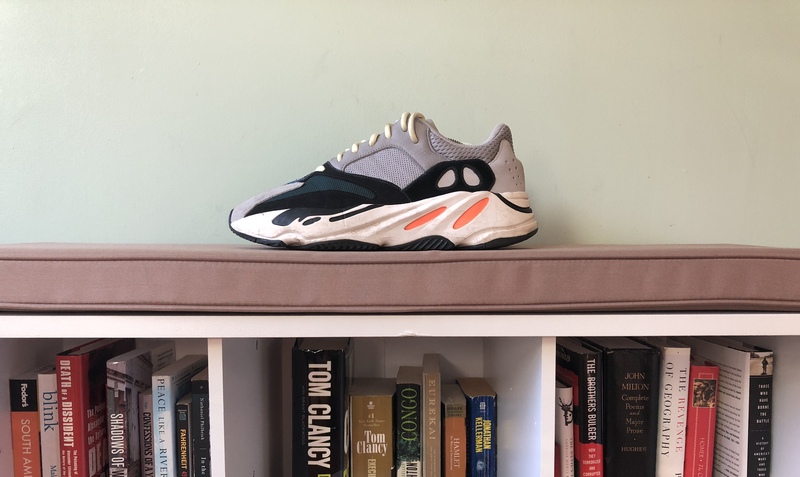 Words and images of the Yeezy 700 by Ben Serleth. A special thank you to our friend RobinHoodATC for their help in sourcing dates, tweets, and a helpful timeline of the sneaker.